There are worse things in life to be addicted to than glitter: drugs, gambling, alcohol... cheese. We could go on. But that doesn’t mean that craving the shiny stuff on a regular basis is easy to live with. The thing about addiction is that it’s hard to have just a little bit; just one spin of the roulette wheel, just one drink, just one nibble of cheese... just one shiny item of clothing. So what we’ve done is come up with the equivalent of a sparkly nicotine patch. With a quick, intensive shoelace or two, you can get your fix for something shiny without all the downsides. Those downsides are obvious. As much as we all love to wear something that sparkles, it’s easy to go too far. You don’t want to be the disco ball on nights out, you want to be in the room with one. Are you addicted to glitter? The first step in dealing with your addiction is admitting that there’s a problem. The second is to find a way to lessen your dependency. 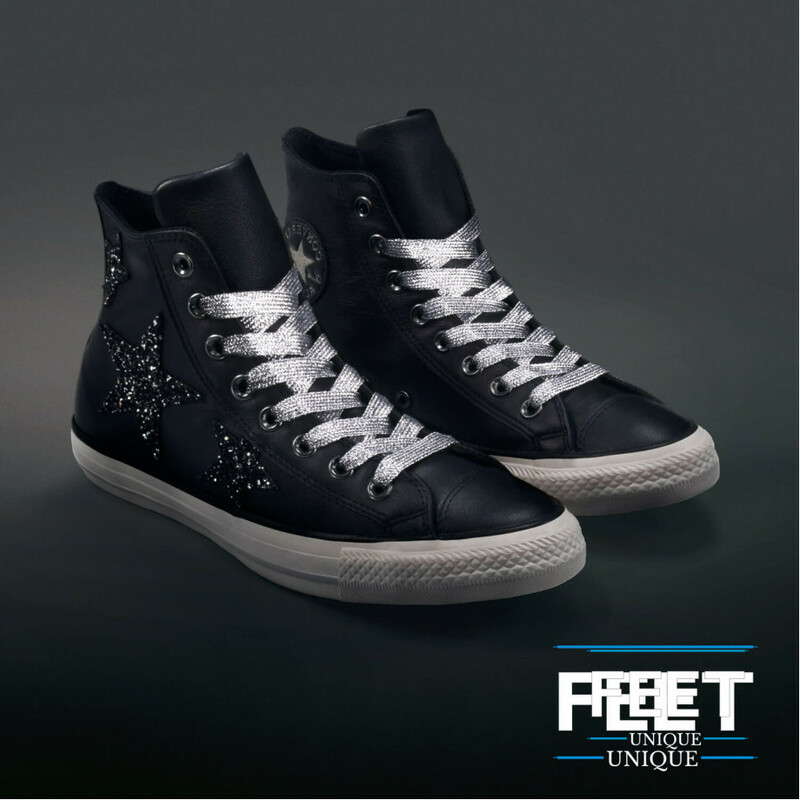 Our Metallic Silver laces do exactly that, providing you with a subtle but heavy dose of the sparkle you crave. These wondrous laces will enhance your look on a big night out, without blinding other people in the room. Our laces give you the peace of mind and serenity to accept that you have a problem. Only once you’ve purchased them can you begin to work towards a solution. We recommend that you wear them with white or black trainers for maximum contrast. We are with you every step of the way.